Gather all the blessings that go a thousand miles to make the start of a new relationship. Invite your near and dear once with Kanna Wedding Cards to embark on this journey of two loving hands tied with a thread called LOVE. From finding an auspicious Muhurat to selecting a wedding card, a wedding is all about living a dream. So live the dream with us. Invoke the blessings of god & our near and dear ones at this milestone of your life with our exquisite collection Wedding Cards. 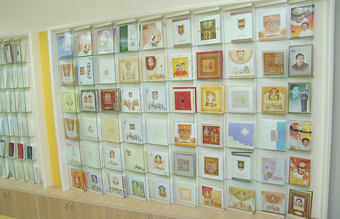 KANNA WEDDING CARDS - Stands for invitations in style with a wide range of options to choose from. 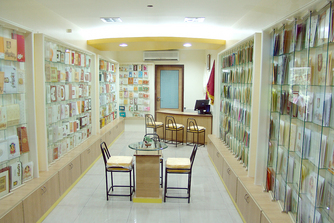 There is one to suit every taste be it traditional, morden designs or cards with a classical touch. KANNA WEDDING CARDS specializes in Screen & Offset Printing, Hot Foil Stamping, Embossing, UV Coating and all kinds of card made out of suitable paper, plastic, synthetic, etc. KANNA has a wide range of products to satisfy all its customers, ranging from Re.1/- to Rs.100/- without compromising on quality, elegance and aesthetic value. We have invitations for all occasions. KANNA WEDDING CARDS has about 1000 varieties of cards to cater all family and business functions and ceremonies including Wedding, Birthday, Bharathanatya Arangetram, Grahapravesam, Inaugural functions etc. PAPER BAGS are available for Wedding (Tamboolam), Conferences, Seminars, Trade Exhibitions and Corporate houses.